Sara Aretakis German, Attorney - Woll & Woll, P.C. Sara Aretakis German joined the law firm of Woll & Woll, P.C. in 2008. She is a dedicated and hard working attorney with a passion for easing the negative impact of divorce on children and families. She obtained her law degree from the University of Detroit Mercy Law School where she distinguished herself as an outstanding law student as evidenced by her invitation to participate in the prestigious national program, American Inns of the Court. Sara holds an undergraduate degree from the University of Michigan in Communications. Sara brings to Woll & Woll, P.C. a valuable understanding of family dynamics and childhood development. Prior to becoming a lawyer, she worked for the Illinois Department of Child and Family Services. There she gained useful information that has enhanced her practice as a family law attorney. Sara also served as a coordinator in Wayne County for children’s programming that included after school literacy advancement and art enrichment for kids with special physical and emotional needs. 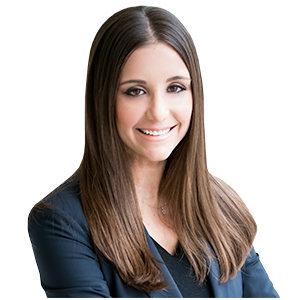 Sara’s commitment to working with children and families and her professional and compassionate manner combined with her unwavering work ethic has made her a worthy addition to the Woll & Woll, P.C. legal team.